Galaxy S5 vs iPhone 5s - Display, Fingerprint Sensor, Camera and More! 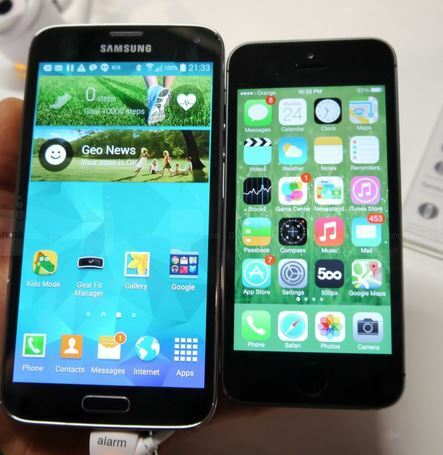 Samsung Galaxy S5 vs Apple iPhone 5s – Videos and Images! Samsung’s flagship Galaxy S5 and Sony’s flagship Xperia Z2 have been showcased at the Mobile World Congress, 2014 in Barcelona. While Galaxy S5 tried to go different launching with various hardware and software improvements, it still couldn’t meet the expectations. 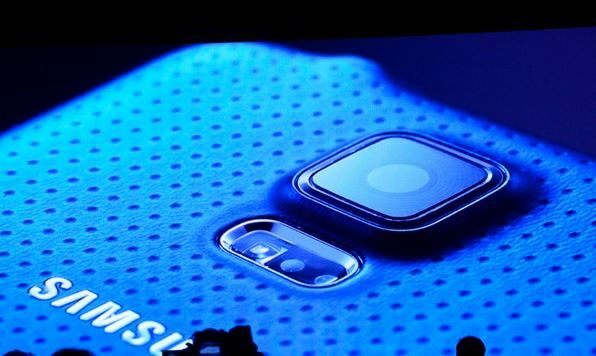 After Galaxy S3’s crazy successful launch, Samsung is expected to bring out something different and innovative every time with its flagship. From the display quality to fingerprint scanning capability, Samsung was expected a lot. In comparison, Xperia Z2 has received some positive feedback keeping up with Sony’s previous innovative iteration. While these two Android are definitely worth looking out for, the major rivalry has always between the Galaxy S flagship and iPhone. Here is a comparative post of Galaxy S5 vs iPhone 5s to help you get some early idea of how the device would stage against the faster, improved iPhone 5s. – Recommended: iOS and Android Apps to Make your Online Presence More Secure, More Private! Samsung Galaxy S5 is a bit bulkier (or rather thicker) when compared to the compact iPhone 5s. But that’s what Samsung Galaxy has always been. 1080p display and 5.1-inch does add up to the weight and dimensions. Samsung has used a Super AMOLED screen, while iPhone’s is a 640 x 1136 pixels display. Great viewing angles, but Samsung has higher pixel density. However, Apple keeps proving that its panels sport true color representation in comparison to Galaxy’s saturated and cold colors. 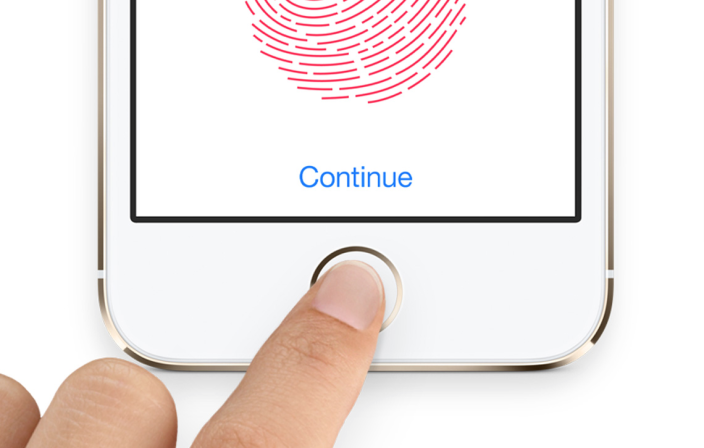 Galaxy S5 has offered a swiping fingerprint sensor (please check video below to see how it works); Apple in comparison offers more easily usable fingerprint sensor when you just have to tap on the home button to get your finger recognized. The thing that iPhone 5s doesn’t even offer and Samsung has? 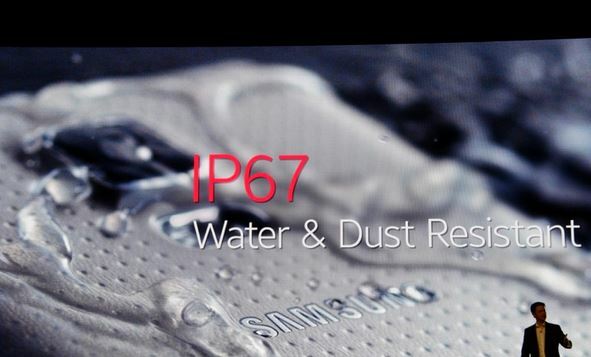 Waterproof tech with IP67 rating – keep your device floating in a meter of water for half an hour – don’t just forget it there. Galaxy S5 is powered by a 2.5 GHz quad-core Snapdragon 801 with LTE support. iPhone 5s too has a fast 64-bit A7 chip to keep things going smoothly. Samsung Galaxy S5 offers microSD slot to expand memory, Apple doesn’t yet offer it with its smartphones. Samsung has taken things a bit better with its camera hardware and software. Galaxy S5 has a 16 MP rear camera sensor with 2.1 MP front camera. The device is powered with a dedicated image signal processor in the Snapdragon 801 chipset. This helps Galaxy S5 claim that it provides fastest autofocus of all handset – 0.3 second! Selective Focus camera option will help smartphone photographers take rather DSLR-ish snaps capturing at different focus settings. iPhone 5s in comparison has always proved to be a reliable camera at 8 MP. It’s not all about the pixels though and we would know more once we can check out the images taken from SGS5. Samsung Galaxy S5 vs iPhone 5s game gets a bit crazier when it comes to software. Apple did bring about a renovated and overhauled experience with flatter iOS 7 that iPhone 5s flaunts, Galaxy S5 offers open and wider functionality with Android 4.4.2 KitKat. 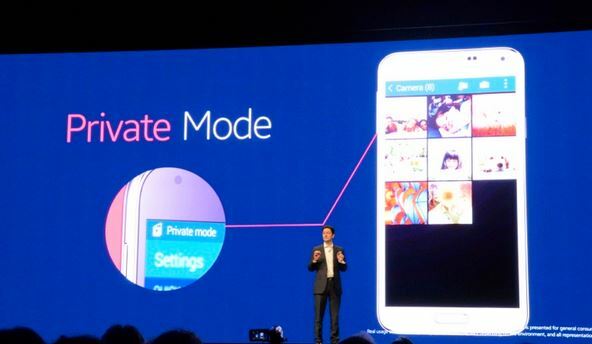 Private Mode, Ultra-Battery Saving, Kids Corner, and more such options have been built in the software along with fitness apps. Add to that the customization level of Android and you can almost have whatever and however you like your phone to be. 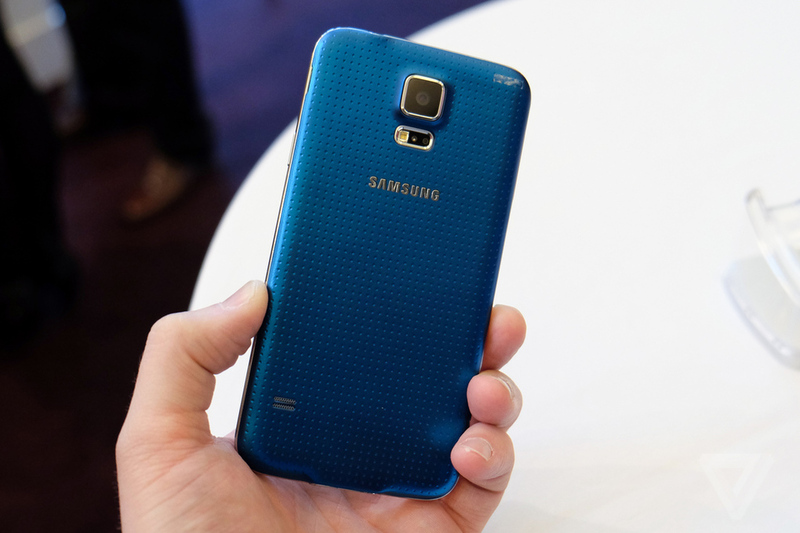 Samsung has kept its plastic build, however, does have introduced a perforated look with flashy colors. Apple iPhone 5s in comparison looks elite in its premium metal and glass material.